Preheat oven to 180C. 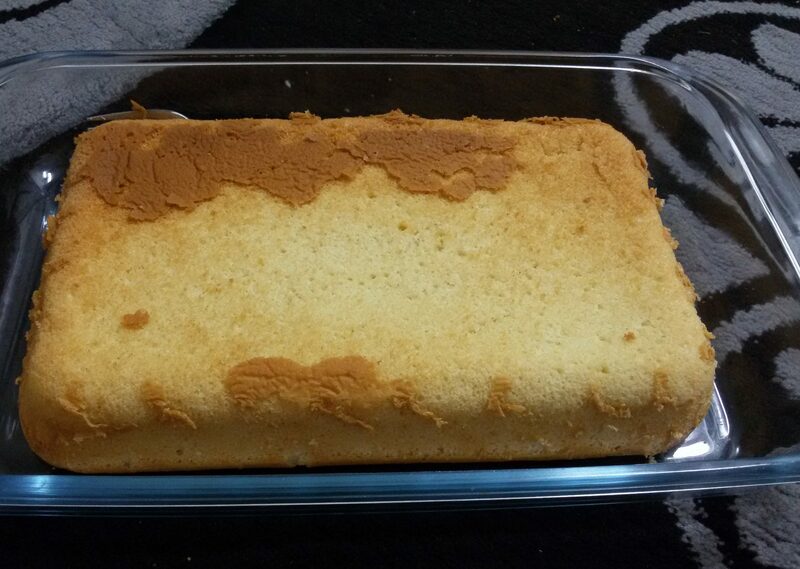 Lightly butter and flour one 9- by 13-inch baking pan. In a bowl, sift the flour, salt and baking powder. Separate egg whites from yolks (make sure there are no traces of yolk in whites, otherwise it will be difficult to beat into a white mixture). In a clean mixing bowl, with the whisk attachment beat the egg whites until foamy. Add 1/4cup sugar and beat at medium-high speed until stiff peaks form. In a separate bowl, beat egg yolks, 1/2cup sugar and vanilla essence at medium speed for 2 minutes. Then add milk and beat until they are well combined. Pour flour mixture into this bowl and mix well with egg yolks. Then gently fold the 1/3 egg whites into the flour batter using a rubber spatula or whisk. Fold in another third, and then fold in the rest. Pour into your pan, smoothing the top. Bake for about 25 minutes or until a toothpick inserted into the center comes out clean (cake starts to shrink from sides of pan). 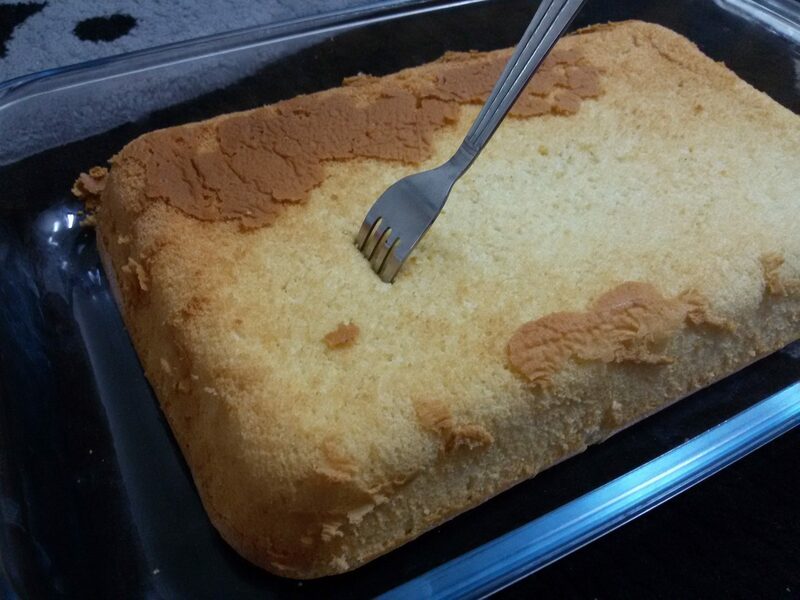 Don’t remove the cake from the baking pan. 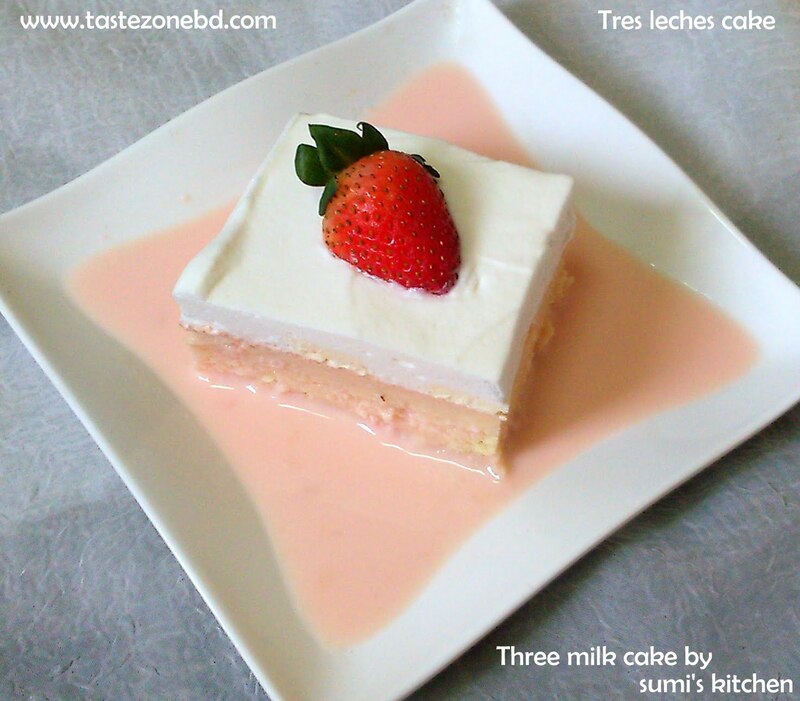 In a bowl, mix condensed milk, evaporated milk, regular milk, strawberry or vanilla until well combined. 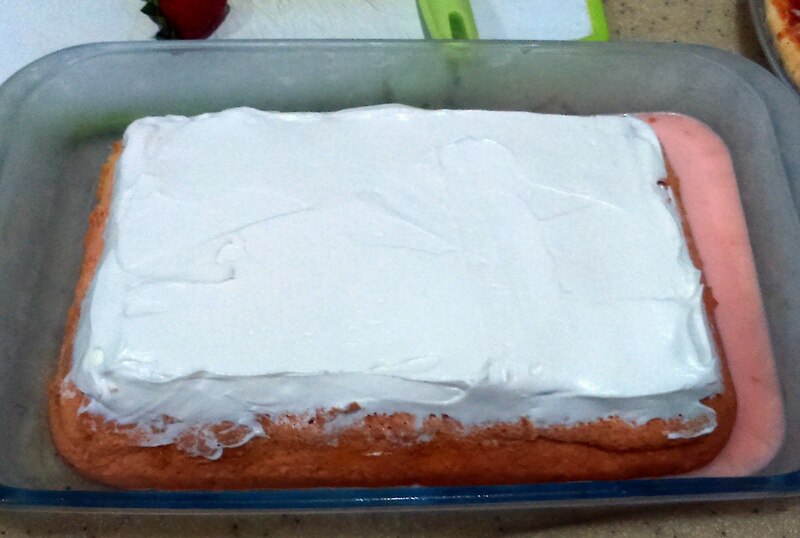 Pierce all over the cake with large fork at 1/4-inch intervals. 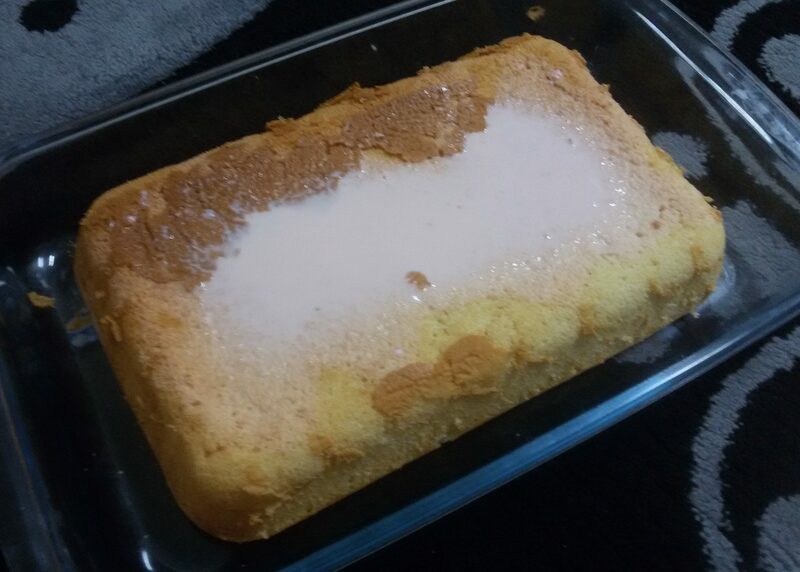 Pour the milk syrup evenly over the slightly hot cake and let it rest for 1 hour for absorbing the syrup. 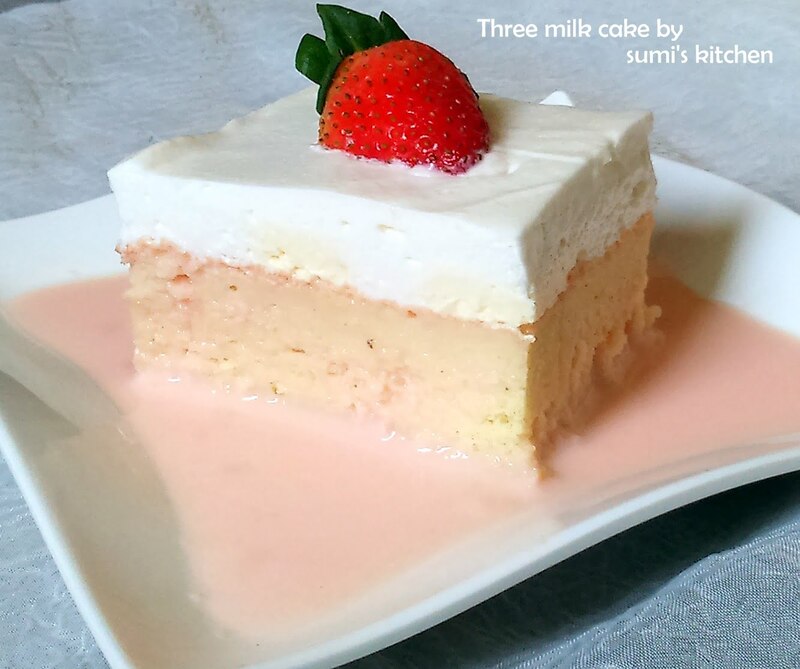 Spread the whipped cream over the cake and chill into refrigerator for 3 hours more. 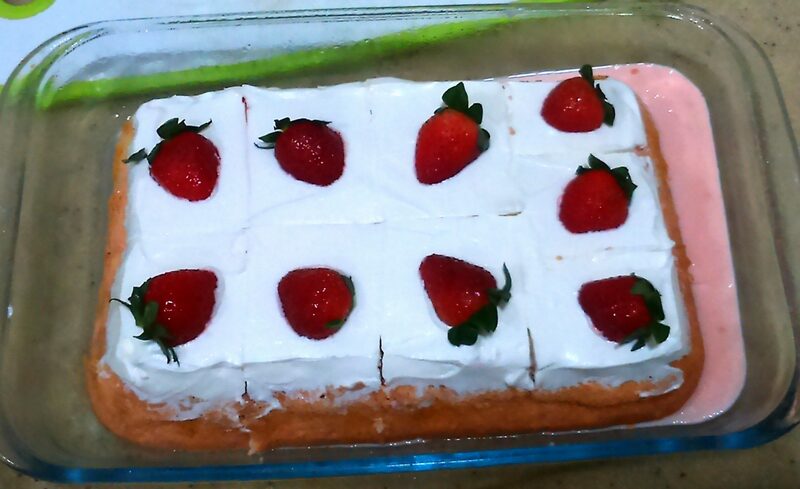 Cut into squares and decorate with fresh fruits.